Mrs. Rosenstock was old already when Hari Kondabolu entered her 3rd-grade classroom at PS 69 in Jackson Heights. Physically, she was frail and her back was bent. But when she spoke of Michelangelo and other great artists, her voice did not know her age. 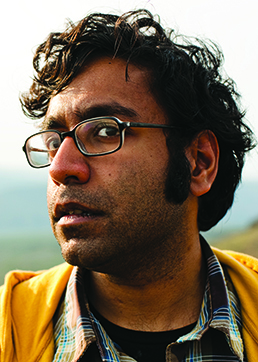 It was rich and forceful, suffused with knowledge and passion that electrified Kondabolu. Let’s count the ways: Appearances on Kimmel, Conan, Letterman. An hour-long interview on NPR’s “Fresh Air.” An iTunes hit album. PS 69 was my first school and Mrs. Rosenstock was my first favorite teacher. She was the oldest teacher in the school, and she was no hugger. She was strict with us 3rd-graders and she had presence. She got what teaching was about. She got us. I haven’t thought about this in years, but she was out for a bit because she had tripped and fallen on ice. We were worried about her and we missed her. When she returned, she had a swollen eye. She didn’t mention a thing, just went right back to teaching. I loved and respected her. We all did. I moved on to PS 115 in Floral Park, where I had a teacher for 4th grade that I liked a lot. She could be mean, but never to me. I think she liked that I was precocious and talking about Richard Nixon one minute and then wanting to build a complete library in the classroom the next. I asked endless questions. This was pre-Internet. Adults were all we had. She had a unit on Native American tribes and for the first time I had the real sense that there were people here before we got here and we stole people’s land and culture. When I got to MS 172, I had an amazing teacher for Spanish, Italian and English — all three subjects. He was in his early 50s, I’d say, and he wore rainbow suspenders and shirts that said PRIDE. How amazing that is when I look back. He never talked about his private life or his politics, and we didn’t care in the least about that. We cared that he was a wonderful teacher. And he was passionate about languages and about grammar. He made the knowledge and use of correct English grammar into a noble cause. At Townsend Harris HS in Flushing, I had Mr. Hackney for global studies. He’d get criticized by the students for going off-topic — “Will this be on the Regents exam?” He was white and from South Africa and was a fierce opponent of apartheid. He threw himself off a moving train in Maine to get into the United States. He was 17, 18, when he did that, sacrificing being with all those he loved because he couldn’t morally live in his homeland. Regents exam? Who cares! This was the real stuff of life. I learned so much from him and I was moved by his life story. Throughout my education, I was so fortunate to have had teachers who weren’t handcuffed by requirements and rigidity and could teach us the bigger lessons of life, not just how to memorize material for tests. They helped shape us. They taught us empathy, values, creativity, the importance of questioning authority and how to think critically. They taught us how to live in the world.